Recently both of us have had the pleasure of finding a book that we just couldn’t put down, one that we carried everywhere in order to eek out a few extra minutes of reading between meetings or while waiting to pick up kids, one that kept us up late into the night. Yes, we may have lost a few hours of sleep because the suspense was killing us, but burning the midnight oil and finishing it one fell swoop made it worth having to guzzle an extra cup of coffee to manage the next day. 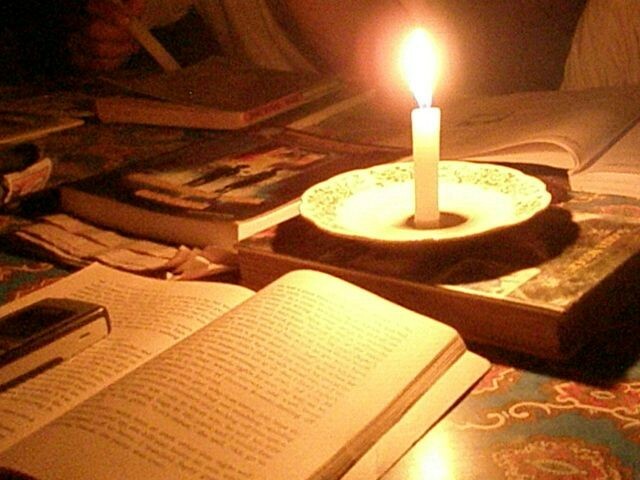 This post is dedicated to the thrill of reading, to the suspense filled books we’ve just finished, and to an oldie but goodie in this page turning genre. AND REMEMBER, TODAY, April 23, 2012, IS THE LAST DAY TO VOTE FOR THE BOOK JAM AT THE INDE BLOGGER AWARDS. Click here to cast your ballot. Thank you! 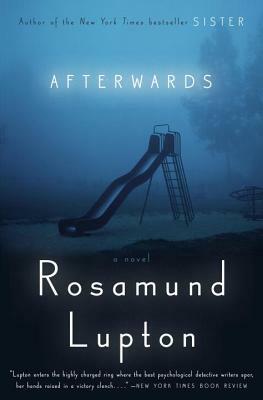 Afterwards by Rosamund Lupton (24 April, 2012) – We both thoroughly enjoyed her first novel Sister (2011). Now for our individual reviews. From Lisa Christie ~ I LOVED this one. I cried. OK, I at least teared up and was sad for a while. Yes, I did. And, even though I have an annoying habit of being able to guess the ending of television shows, movies and mystery novels, I still sighed at the end. Why? Well, it is hard not to put yourself in the place of each of the characters in this novel; a novel about the aftermath of a school fire where a teenager is trapped and a mother goes in to save her. The give and take of who will survive and who caused the commotion is well executed. The questions of what would you do for love resonate long after you finish. I highly recommend this second book by the author of Sister – another great and well written and moving book for those of you in the mood for a modern “thriller”. From Lisa Cadow: I, too, enjoyed Afterwards. The subject matter – about the days following a devastating school fire that leaves a mother and her teenage daughter in critical care – is certainly not “easy” but the author pulls the reader in with her Lovely Bones style of writing (with an injured, out-of-body narrator telling the story). Meet Grace, the mother, who’s able to watch events unfold despite being in a coma. 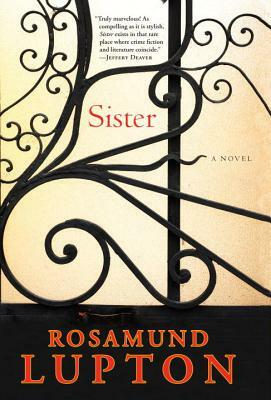 Though I wouldn’t normally be drawn to something so seemingly macabre, I loved Lupton’s first book, Sister, (about a woman who goes to London to search for her missing sister) and was eager for another one of her literary wild rides. She didn’t disappoint with this one as a result of the unusual and original way she’s constructed the story, the interesting psychology of the characters, and the everyday nature of the drama. The hardcover release date in the United States is tomorrow, April 24th, 2012. I suggest readers plan to sleep in on the morning of the 25th. Rebecca by Daphne Du Maurier (1938). This was the first book that kept me up practically all night reading. I simply couldn’t get enough of “Manderley,” Maxim de Winter’s estate in the British countryside, where he brings his new, young wife after a whirlwind courtship on the French Riviera. Once there, she is plagued by the ghost of the seemingly perfect “Rebecca” – Maxim’s late wife – whose presence still fills the halls, gardens, wardrobes, and picture galleries. This psychological thriller has the reader questioning her own reality and sanity as she flips through the pages watching the new Mrs. de Winter deal with the venomous housekeeper, Mrs. Danvers, and planning a ball for Maxim de Winter’s friends. This great book will keep readers of all ages on the edge of their seats and up throughout the night. And one last item. For those of you in the Norwich, Vermont area, please join us for our first Pages in the Pub on April 30th. Pages in the Pub brings the Book Jam “live” to a local inn, so that other book lovers may talk about books with some “experts” — local booksellers and local librarians — over a glass of wine, beer or seltzer. (It would be an ideal way for your book club to get ideas for your next few months’ worth of selections, in addition to books for your own reading stack.) Proceeds from the event benefit the local public library. To attend the April 30th at the Norwich Inn, event call the Norwich Bookstore – 802-649-1114 to reserve your spot with a $5 contribution. All proceeds for this first event will be donated to the Norwich Public Library.